This suitcase contains a series of quirky and exciting objects where the artists have used imaginative approaches to materials. 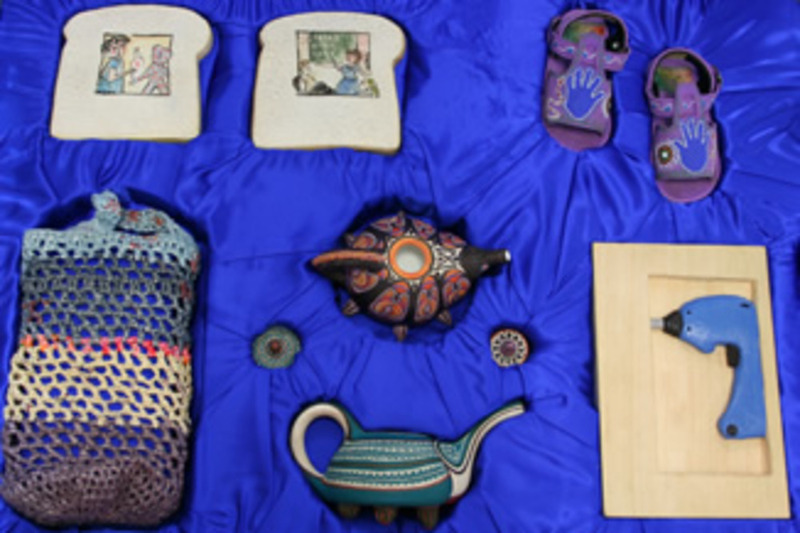 Here you will find toast made from clay, Millennium Bug Teapots and other strange and inspiring objects made from plastic, timber and collected objects. The Blue Suitcase is available for loan to preschools and comes with specially designed support materials.